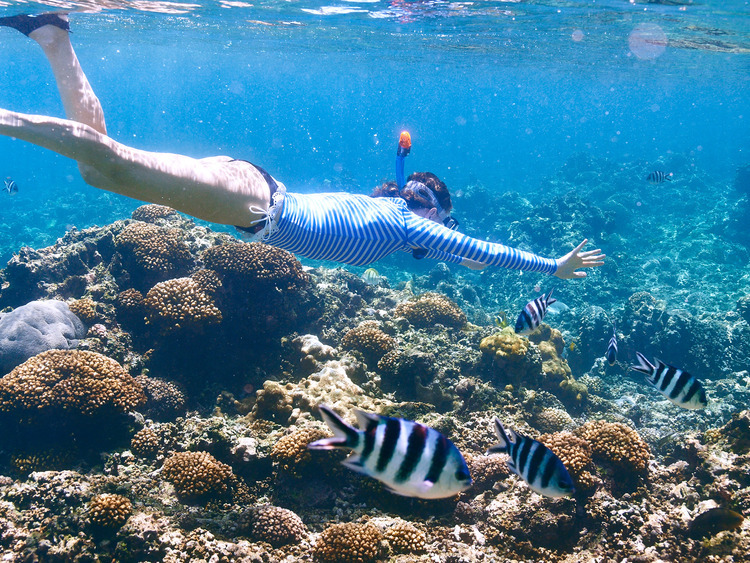 Let us dive into the crystal-clear waters of a lovely bay surrounded by emerald-green forest to discover all the secrets hidden beneath the sea with a thrilling snorkelling session. A short transfer takes us to one of the most beautiful beaches in Ubatuba: Praia do Cedro, a small inlet surrounded by the lush vegetation of the Atlantic forest. The beach, shaded by swaying palm trees, is lapped by fabulous crystal-clear waters perfect for those seeking to cool down in the shade and diving enthusiasts. Once in this corner of paradise, we wear our masks and snorkels and enter the water for an unforgettable snorkelling session to discover the underwater world. As we swim slowly in the warm water, the fabulous underwater life appears before our eyes: colourful fish, urchins, starfish and lush vegetation.